Judge Morton Minc (left) with Supreme Court Justice Richard Wagner of the Supreme Court of Canada. 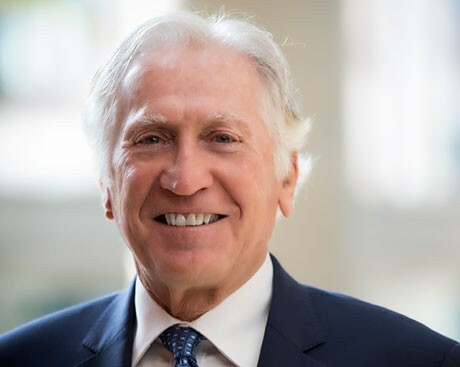 The event series welcomes distinguished figures in Quebec and Canadian law, from the Court of Appeal of Quebec to the Supreme Court of Canada, to spend an evening in conversation with Jurist-in-Residence Morton Minc. Following the conversation, the guest opens the floor to audience questions. This unprecedented access gives audiences a behind-the-scenes look into the minds of decision makers. Many of these events are officially recognized by the Barreau du Québec and all are open to everyone. The Judge's Role: Judicial Decision-Making at the Supreme Court of Canada 5:30 p.m. — 7:30 p.m.
For Law and Society students, the Jurist-in-Residence Mentorship program offers one-on-one time with Montreal lawyers. Mentors are assigned on a first come, first served basis. If you are in the Law and Society program and interested in learning more, contact the program's Administrative Assistant Alycia Manning. Getting involved in the Court Observer Program, which features visits to the Municipal Court of Montreal, the Superior Court of Quebec and the Court of Appeal of Quebec. Law & Society students were treated to a tour of the municipal court of Montreal as part of the Court Observer program. From L to R: Justice Richard Chassé, Gabrielle Dickins, Alex Barcelona, Erin Kasner, Me Robin Schiller, Charles Schiller, Katelynd Campo. Minc's career focus has been on social innovation in the court system. 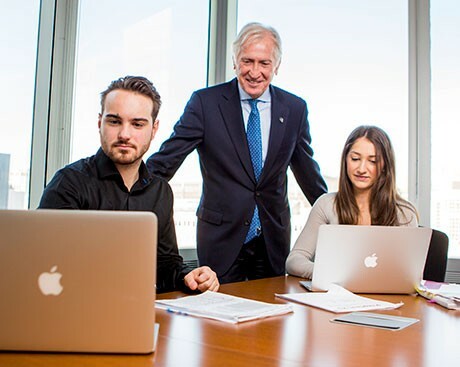 After obtaining an arts degree from Sir George Williams University (one of Concordia’s founding institutions) in 1967, Minc went on to study law at Université de Montréal, graduating in 1973. He then entered private practice, where his work took him across the country and included lecturing at both Concordia and McGill. In 1993, he was appointed judge at the Municipal Court of Montreal, where he eventually became chief justice in 2009. During his time as chief justice of the Montreal Municipal Court, Minc initiated and supported social programs for offenders with substance abuse problems, mental disorders or vagrancy. This work was acknowledged in 2014, when he was awarded the Prix de la justice du Québec. He was named to the Order of Canada and to the Order of Montreal in 2018. Judge Minc’s appointment as Jurist-in-Residence at Concordia is the first appointment of its kind for any English university in Quebec. Could Leonard Cohen have said: "Justice, you were moving so fast"?